An Oldham roofing firm and company director have appeared in court after being filmed breaking the law by the BBC’s Watchdog programme. Renov8 (North West) Ltd and Darren Potts were prosecuted by the Health and Safety Executive (HSE) after footage showed workers on top of house roofs using a pressure washer without any measures in place to stop them slipping and falling to the ground below. On 17 January, Trafford Magistrates’ Court heard that Watchdog had hired Renov8 to carry out roof cleaning at two bungalows after receiving several complaints about poor workmanship and trading standards issues. The work was filmed at Heather Close in Droylsden on 1 May 2013 and Radford Street in Salford on 21 May 2013 using hidden cameras, and then broadcast the following month. The footage showed an employee walking around a sloping roof at the first property in Droylsden using a pressure washer to remove moss. Company director Darren Potts was filmed watching the work from the ground. 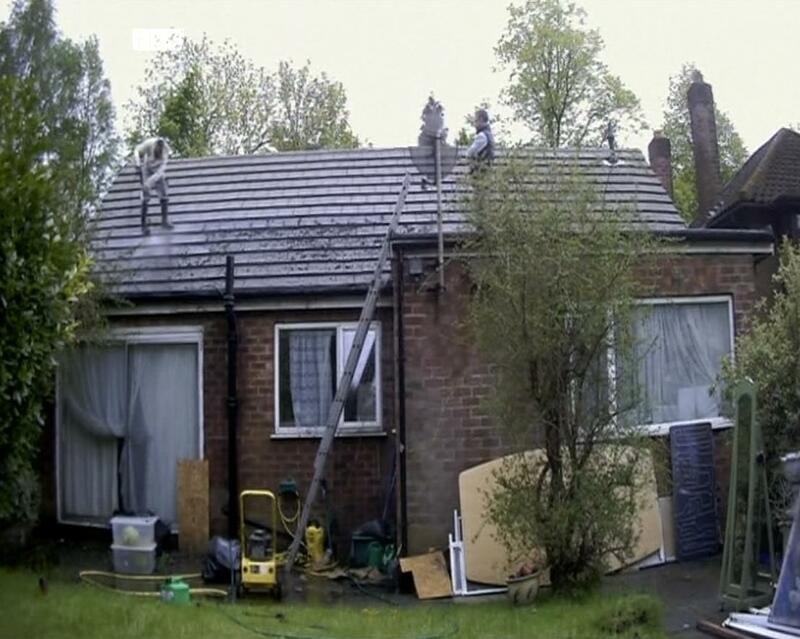 Both men were also shown walking on the roof of the second property in Salford, again with no scaffolding or other measures in place to prevent them being injured in a fall. The HSE investigation also found Renov8 did not have any employers’ liability insurance, despite this being a legal requirement. This meant the employee would not have been able to claim compensation if he had been injured. Renov8 (North West) Ltd and Darren Potts, 39, each pleaded guilty to two breaches of the Work at Height Regulations 2005 by failing to put measures in place to prevent a fall. Renov8 also admitted failing to have employers’ liability insurance. Renov8, of Links Avenue in Failsworth, was fined £1,000 and ordered to pay £1,255 in prosecution costs. Darren Potts, of the same address, was ordered to undertake 200 hours of community service (within 12 months) and also has to pay £1,255 in costs.